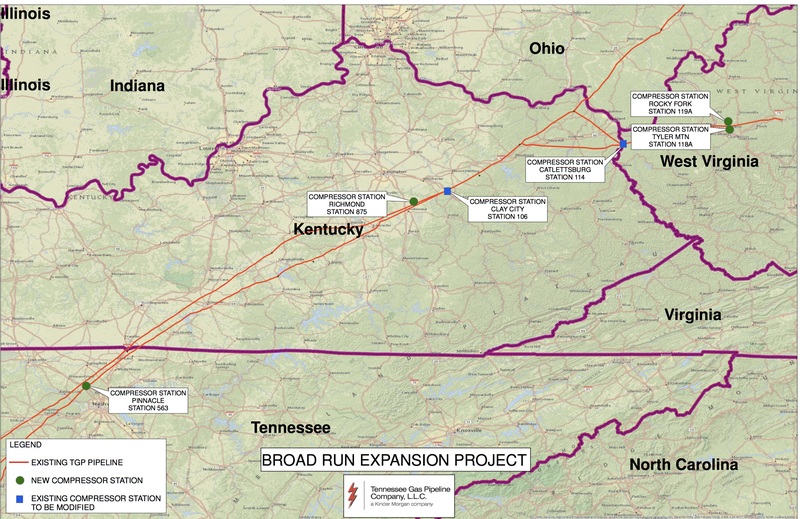 FERC has approved Kinder Morgan’s request to begin construction of Compressor Station 875 in Madison County, Kentucky for the Broad Run Expansion Project. The Broad Run Expansion Project includes the construction of two new compressor stations in Kanawha County, West Virginia, one new compressor station in Davidson County, Tennessee, and one new compressor station in Madison County, Kentucky. Kinder Morgan also will increase compression capacity by modifying two of its existing compressor stations in Powell and Boyd counties in Kentucky by replacing existing capacity with new, higher-rated horsepower compression units. Once finished, the project will provide an incremental 200,000 dekatherms per day (Dth/d) of firm transportation capacity along the same capacity path as the Broad Run Flexibility project, which was placed in service on Nov. 1, 2015. The Broad Run Expansion Project is expected to be in service in June 2018.